8051 Lux/FC light meter with 270° rotating sensor. This light meter is ideal for both the professional and hobbyist. 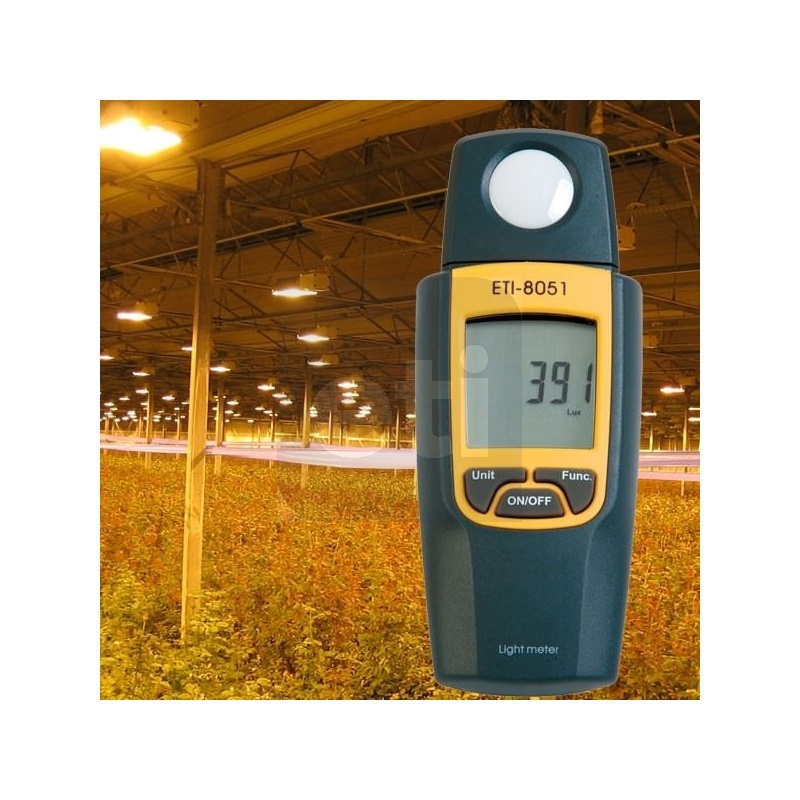 The unit allows the user to monitor light intensity and levels in a variety of applications. The best way to use a tester is to measure the light levels when installing new lamps or lighting and then measure the light intensity thereafter on a regular basis until the lamps require replacing. The light meter measures both Lux or foot-candles (FC) over the range of 0 to 30000 Lux. The correct level of light is imperative in a wide range of working environments for safe working and to avoid unnecessary eye strain. The correct level of light is a necessity for plant growth. Sufficient light is needed for photosynthesis to take place so that plants can flower and bear fruit. Commercially, it is important to regularly check artificial lighting levels to ensure healthy plant growth. The lack of adequate light is the most common cause for poor plant growth. As artificial lighting will degrade in intensity with time, it is essential to measure at regular intervals.